CV Myths and Truths – Don’t Believe The Hype! It’s not as if anyone ever deliberately makes the effort to pen a poor CV – it’s one of the few documents in life that can genuinely map out your entire future. 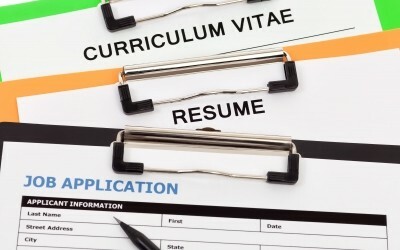 Unfortunately, however, while the web has brought the public a quite astonishing arsenal of helpful resources to make any CV all it can be, there’s also a ton of conflicting information to make sense of. According to the experts at www.anglo.com, blindly reading into everything you come across online with regard to CV success is 100% guaranteed to render your CV a failure. There are just so many myths that really could have done with being dispelled quite some time ago to say the least, though, are every bit as alive and kicking today as they ever were. This particular myth owes its origins to the fact that in an ideal scenario, your CV will indeed be just a single page of killer content that wins over the recruiters at a glance. However, if your education and experience are far too abundant to possibly be laid out using a single page, there’s nothing at all to gain from selling yourself short just to save space. A CV should be kept to a single page only when and where it is possible and appropriate to do so. Keeping things concise is always the best way to go – cutting out important details to save space is not. This doesn’t necessarily have to be the case as while there may be gaps in your ‘official’ employment history, this doesn’t mean you can’t have been doing things that are 100% beneficial for your long-term progress, skills, talents and knowledge. A blank space with no explanation leaves a big question mark…for all they know you could have been in jail. By contrast, a blank space that’s explained by way of further private study, unpaid work experience or anything else considered ‘enriching’ in general can be pure gold. Standing out for the sake of standing out really isn’t a good idea in most areas of life. To try and gain the attention of your prospective employers by using bright colours and OTT visuals is a bit like going speed-dating wearing a fluorescent pink shell suit – you’ll be noticed and remembered, but not for the reasons you’d like. It should be the content that stands out above and beyond the actual styling of the CV – the layout and accents are never more than a frame to present the real meat of the document. If you are applying for a bunch of jobs that are literally 100% identical across the board, then the answer is yes – you probably will get away with using the same CV for multiple applications. However, if there’s even a slight difference between the posts you plan to apply for, it’s important to consider revisiting your CV and making any and all necessary changes to target it more accurately. Generic CVs are rarely inspiring in the eyes of recruiters and if it’s obvious you’ve gone the easy route just to save time and effort, you’ll come across as nothing but lazy. With this particular myth, it all comes down to the way in which you use the services on offer. For example, some would argue that having a total stranger write your CV is really not the most ethical way of going about things and perhaps there’s some justification in this way of thinking. However, if you were to pen your own CV and then simply have an experienced professional go over it with a fine-tooth comb and offer some important advice, what’s the harm in doing so? Some people are naturally better at penning CVs than others, so there’s no harm in seeking help where needed. Last but not least, yes, it’s true that millions of people lie on their CVs but when and where it’s an untruth that gets you the job, you’ll spend the rest of your career waiting on a knife’s edge wondering when you’ll get fired. If you lie on your CV, the employer doesn’t need to in any way justify letting you go at a moment’s notice even several years down the line – is this the kind of daily stress you could happily live with?